I specialise in heirloom albums and bespoke wall art for your home. When the time comes to choose your art pieces, I have curated some of the finest products available, in a selection of beautiful finishes that will compliment any interior. I invite you to browse the collections below and feel free to reach out if you have any specific questions. I'll be happy to personally assist. 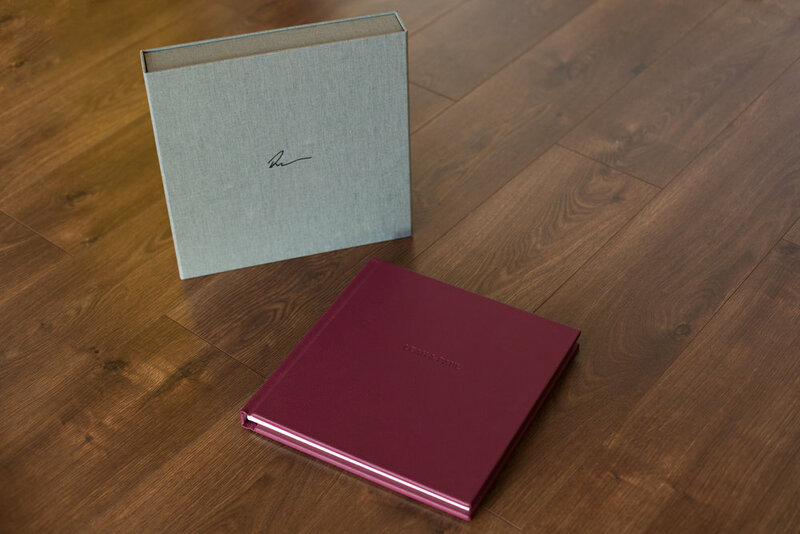 Hand-made by master craftsmen, using the finest soft leathers and printed on lay-flat fine art matte pages, the Fine Art Album is truly an album made with love for your family to enjoy for generations. 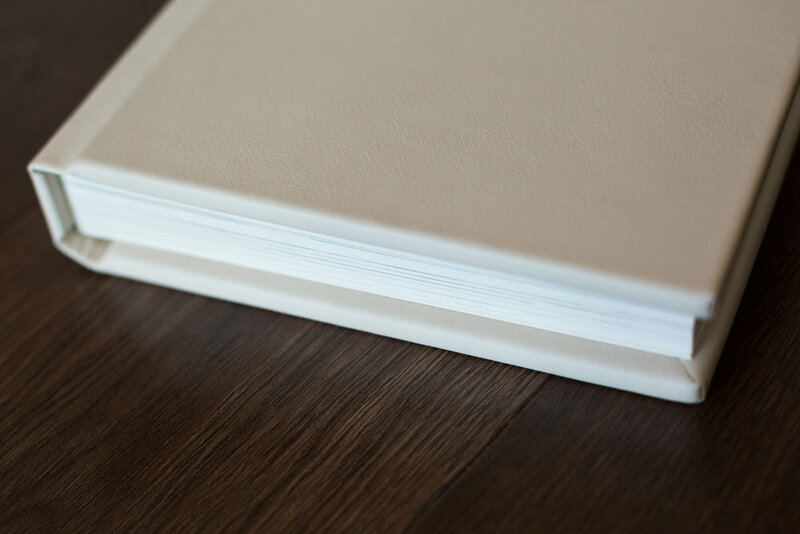 These beautiful square albums (8"x8" or 12"x12") start from 30 pages (15 spreads) for wedding albums & 20 pages (10 spreads) for engagement albums. 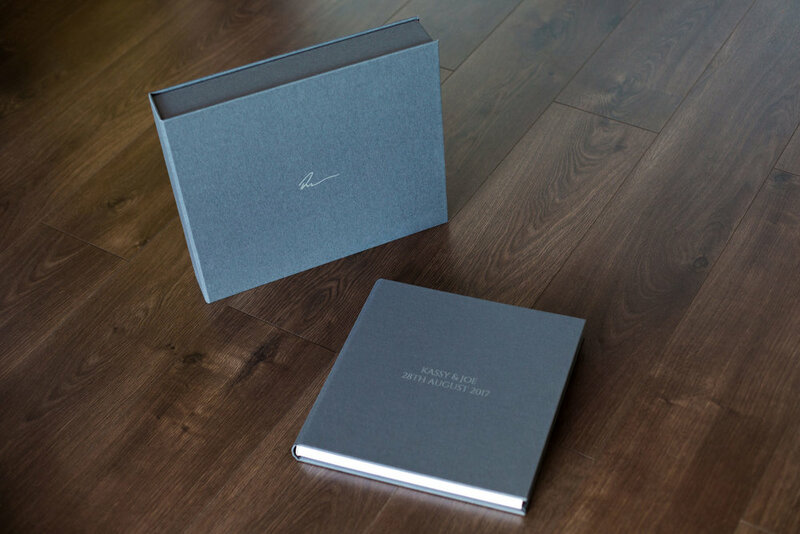 Wrapped in a soft touch linen cover and printed on lay-flat glossy photographic card pages, the Signature Album comes ready enjoy, protected by beautiful bespoke presentation box. 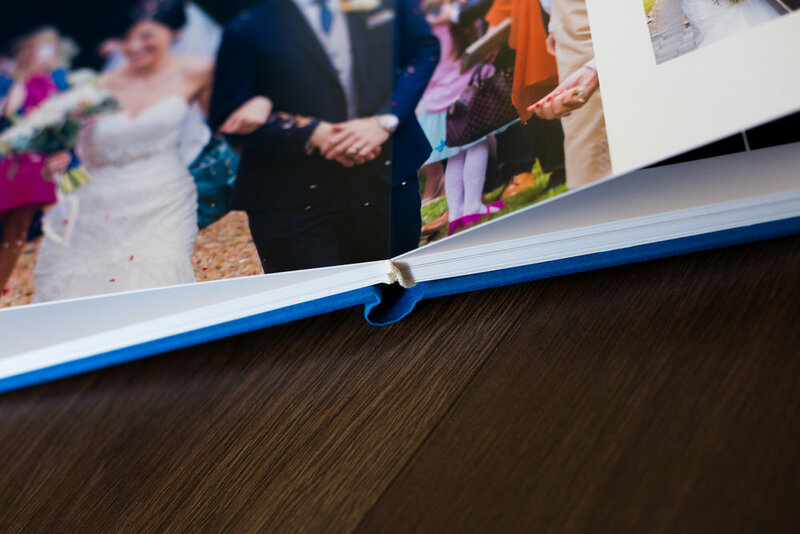 These amazing square albums (8"x8" or 12"x12") start from 30 pages (15 spreads) for wedding albums & 20 pages (10 spreads) for engagement albums. 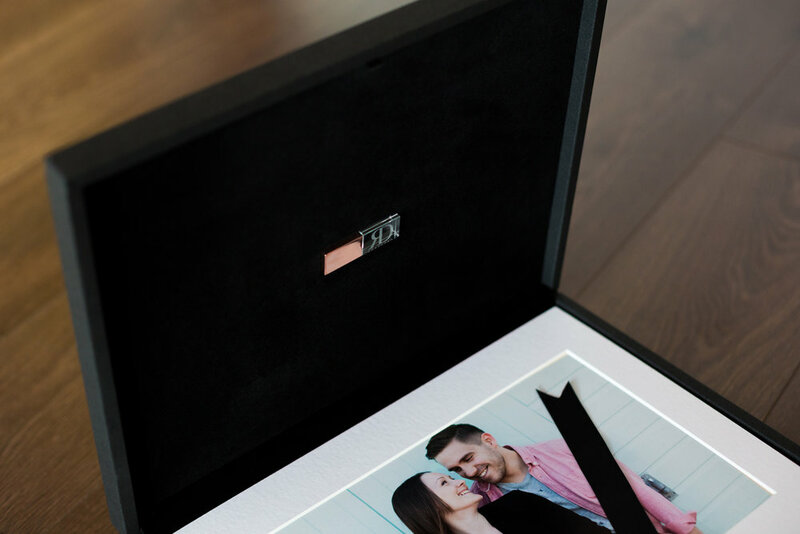 Most people choose the images they absolutely adore for their Wall Art and then invest in a beautiful Signature Box in order to take home all the other photographs from their session. 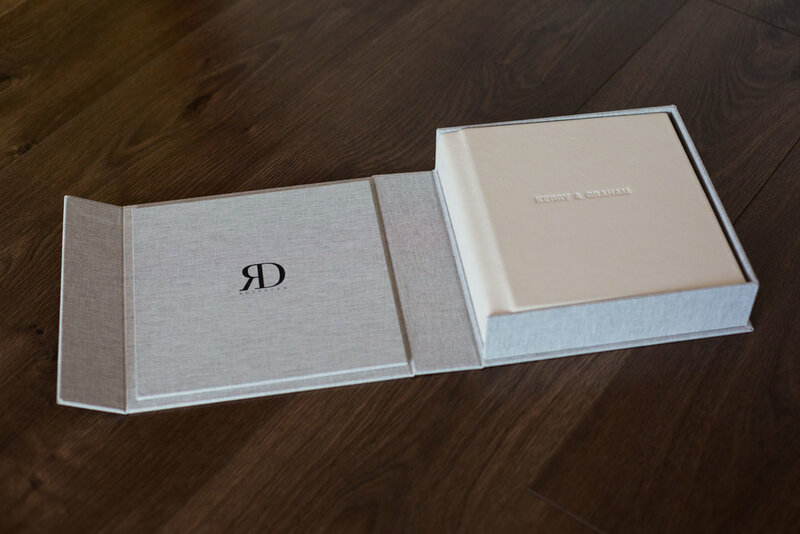 These gorgeous 11"x14" boxes can hold up to 30 professionally printed 10"x8" mounted prints. Choosing one of my designs from The Statement Collection guarantees the wow factor in any room. Available in either canvas or acrylic acrylic finish, allow me to create the perfect family wall grouping to impress. The best things come in 3's and the Trio collections are no exception. Just select your favourite three photos and I'll take it from there. Available in either canvas (square) or acrylic finish (square or circular), an eye catching trio design will be the talking point of any family home. 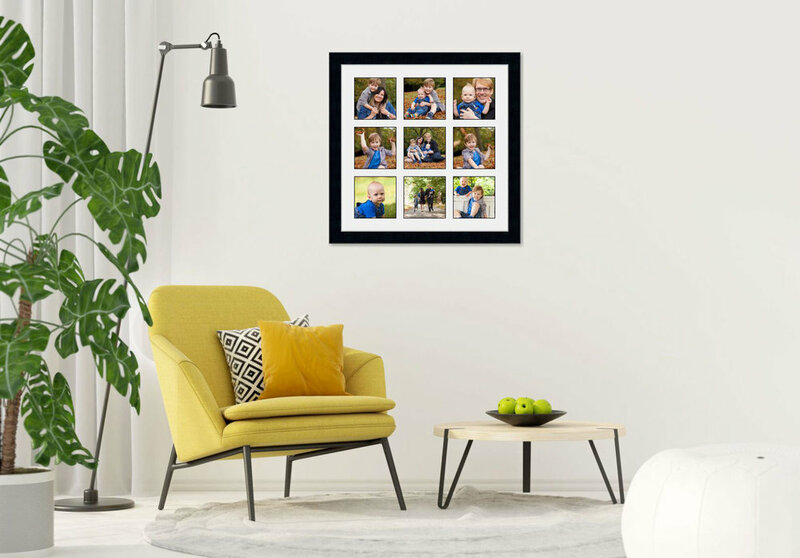 Classic in design, The Storyboard collection boasts beautiful traditionally-framed art work, in a choice of crafted frames which compliment any interior. 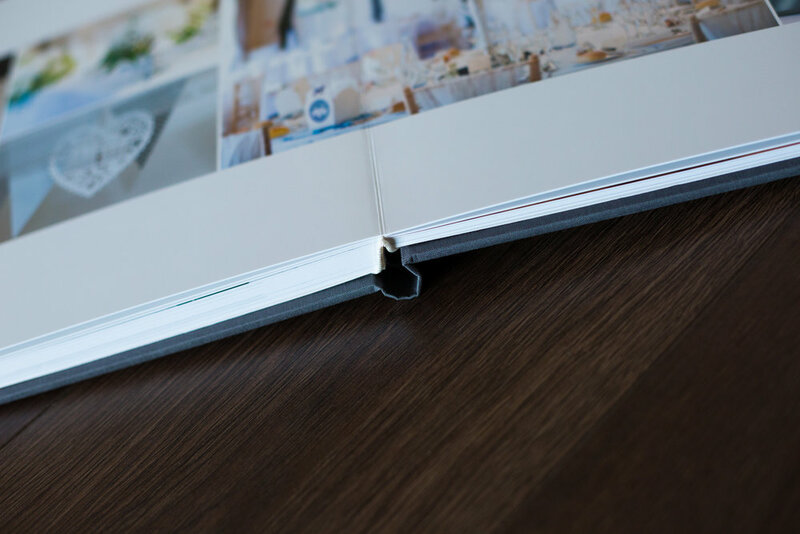 Choose your favourite layout and tell your family story in a single product. From the museum grade UV coated fine art canvas to the deep exhibition grade stretcher bars. It is easy to see why my canvas wall art is archival certified in quality. 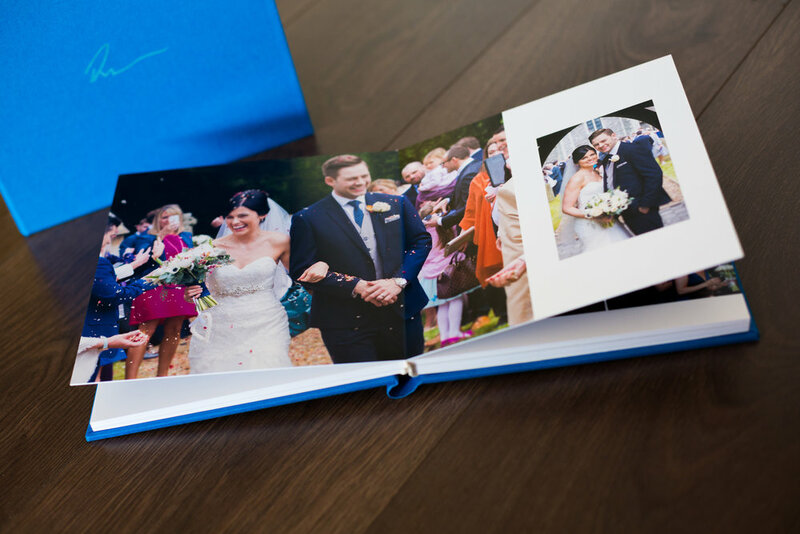 Choose your favourite photograph and tell your family story in a single product. Printed using the finest 12 colour technology with specially selected premium grade crystal clear plexiglass, acrylic wall art is the perfect choice for the modern home. 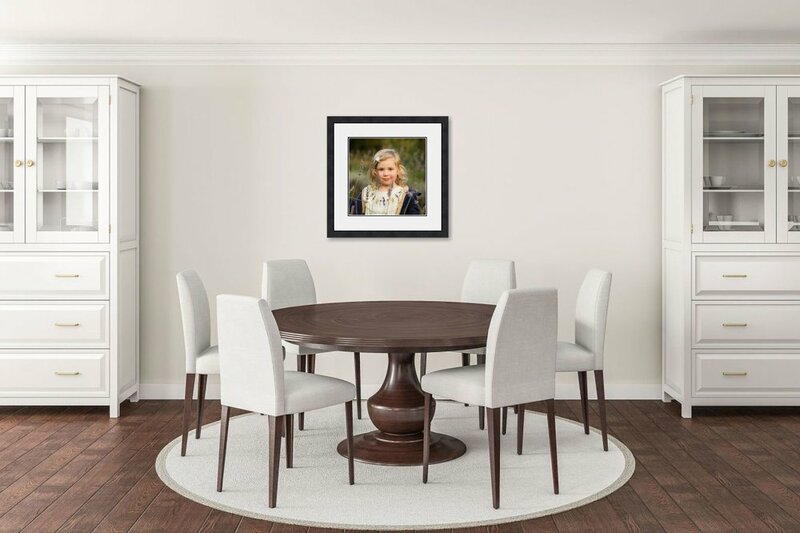 With a timeless choice that compliments any interior, traditionally framed wall art encompasses a beautiful blend of simple style with a subtle grain moulding. Perfect for family birthdays, anniversaries and Christmas tree gifts. 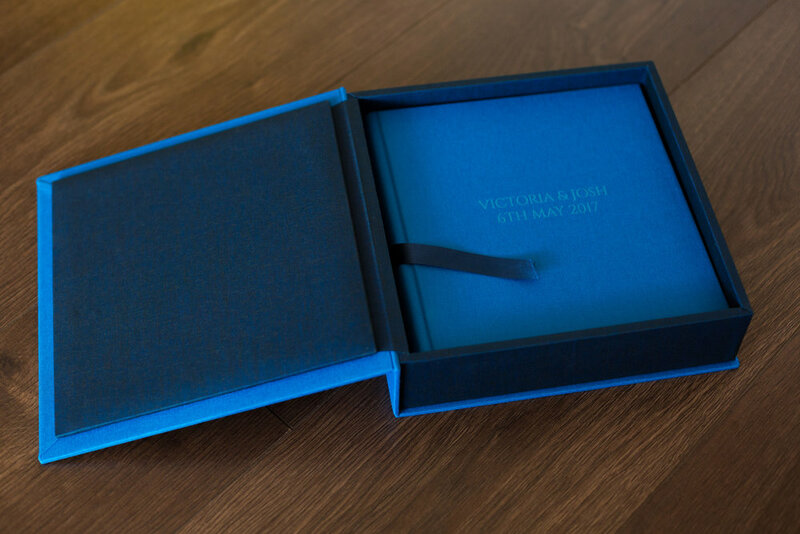 These beautiful lustre prints, available in either 6"x4", 7"x5" or 10"x8" are delivered in a hand-tied box, ready to give. 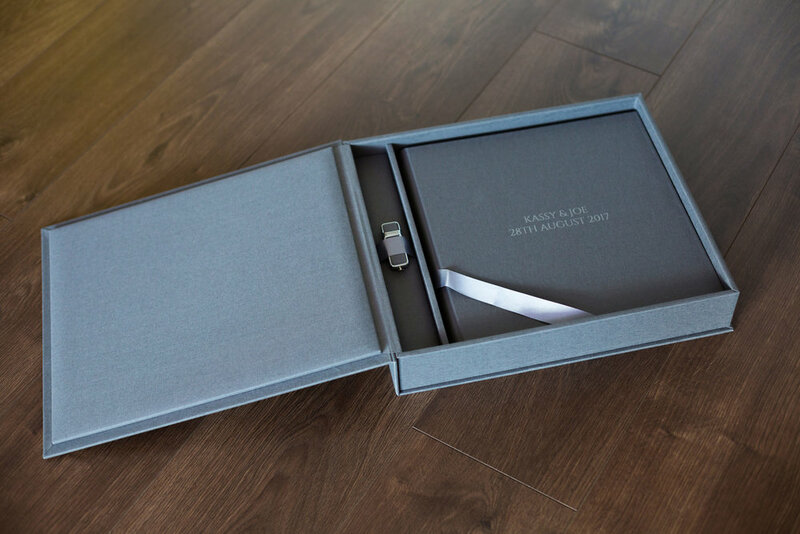 A tangible accompaniment to your digital download gallery, beautifully presented in a signature boutique box. Can include the digital images from either your wedding, engagement session, or both! Complete with personal printing rights.